The publication of The Runnymede Trust’s report Islamophobia: A Challenge for Us All in 1997 was a watershed moment in the history of recognising and opposing anti-Muslim prejudice. The first British policy report to focus on the problem of Islamophobia, it is often credited with popularising the term. Last week an updated report, Islamophobia: Still a Challenge for Us All, was released to mark its twentieth anniversary. In this post, Stephen H. Jones offers reflections on the new report’s understanding of Islamophobia utilising research for Science and Religion: Exploring the Spectrum on non-Muslims’ perceptions of Islam and science. Continue reading How should we respond to prejudices about belief? Recently, the conflict between religion and science—or, to be more precise, between a loud religious minority and an important part of modern biology—took the unusual form of a 150-metre-long wooden ship. After about six years of planning and building on July 7, Answers in Genesis, America’s largest creationist organization, opened its Ark Encounter theme park in Northern Kentucky. In a later round of development the park is also set to feature a recreation of the Tower of Babel and other similar Biblical buildings and objects. 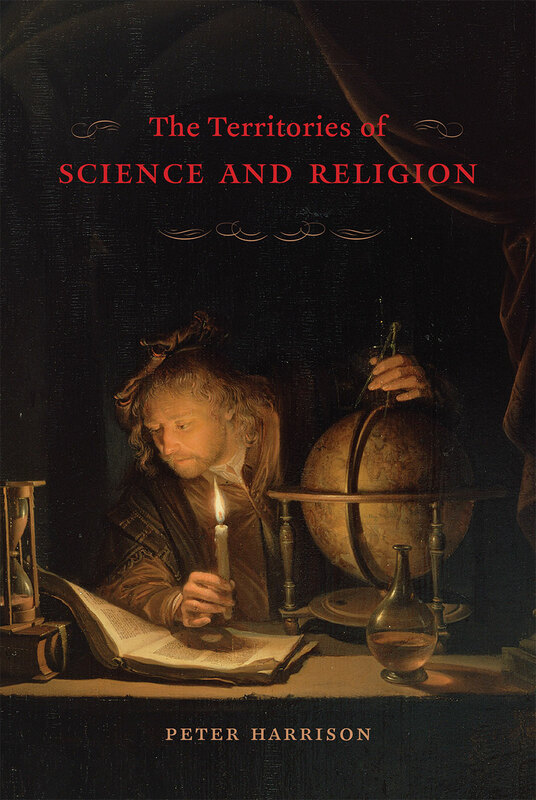 The front cover of Harrison’s The Territories of Science and Religion. John H Evans is the author of Playing God? Human Genetic Engineering and the Rationalization of Public Bioethical Debate and Contested Reproduction: Genetic Technologies, Religion and Public Debate. Here, he talks to Tom Kaden, one of the Science and Religion: Exploring the Spectrum team about sociology and debates about science and religion. Tom Kaden: So welcome, John Evans, to this talk. Could you first of all please say a little about who you are and your general areas of study? Evolution doesn’t seem scary. It is the processes of change in heritable traits of biological entities over successive generations, which give rise to biological diversity between and within organisms. This isn’t something likely to make you cower behind your popcorn box at the multiplex. However, the horror genre has frequently borrowed from science to create cinematic nightmares and evolutionary concepts provide a rich source of raw materials. In this piece I outline four key themes in horror cinema: ‘super-evolved monsters’, ‘abomination’, ‘devolution’ and ‘monstrous mutation’ all of which are informed by evolutionary science, and along the way I’ll suggest a few films for your Halloween viewing pleasure.